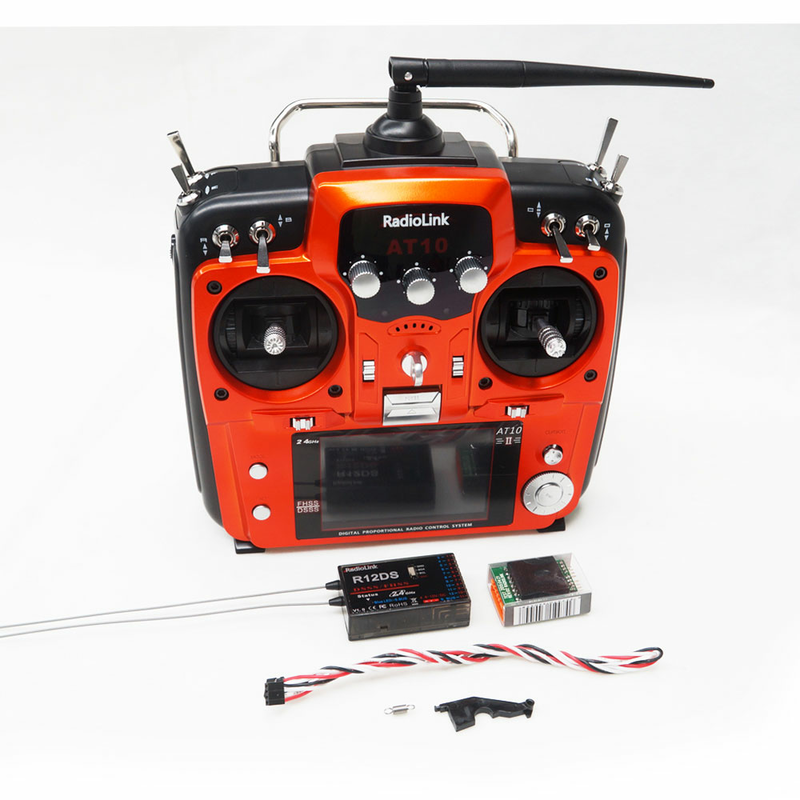 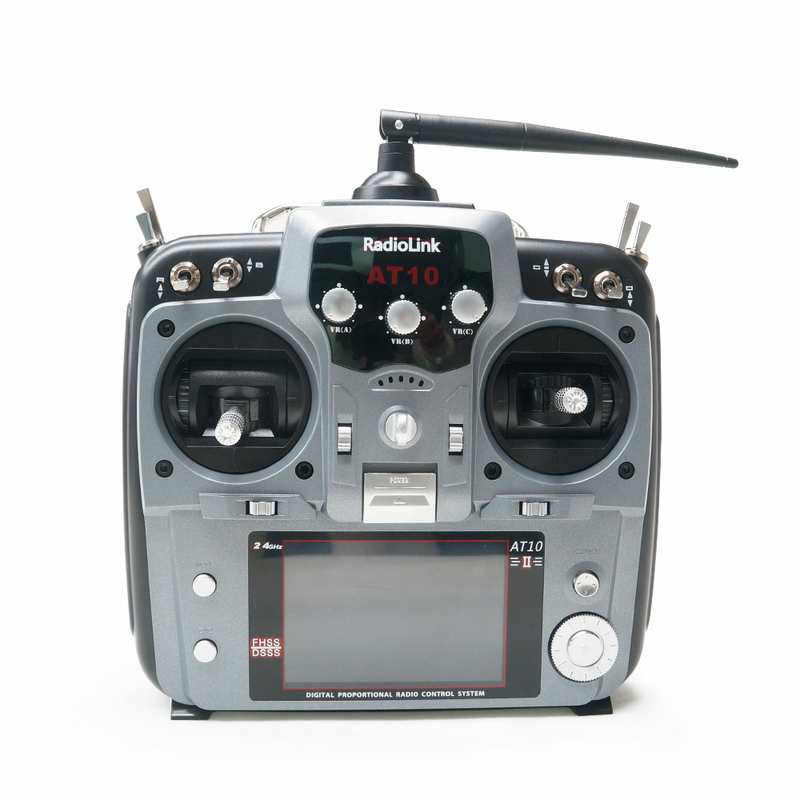 Radiolink AT10II 2.4G 12CH Transmitter is the upgrade version of the Radiolink AT10 radio. 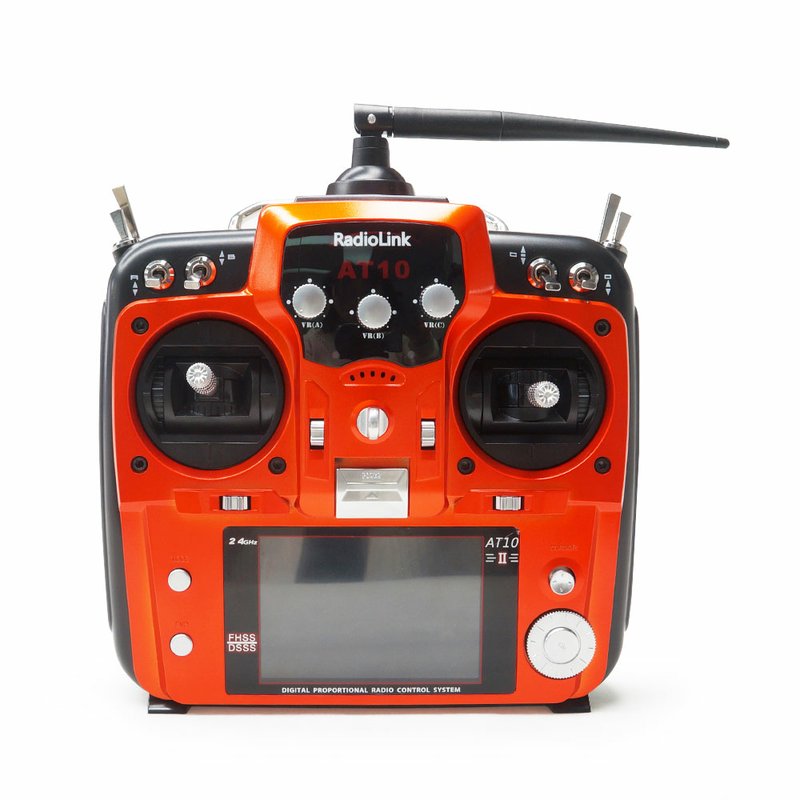 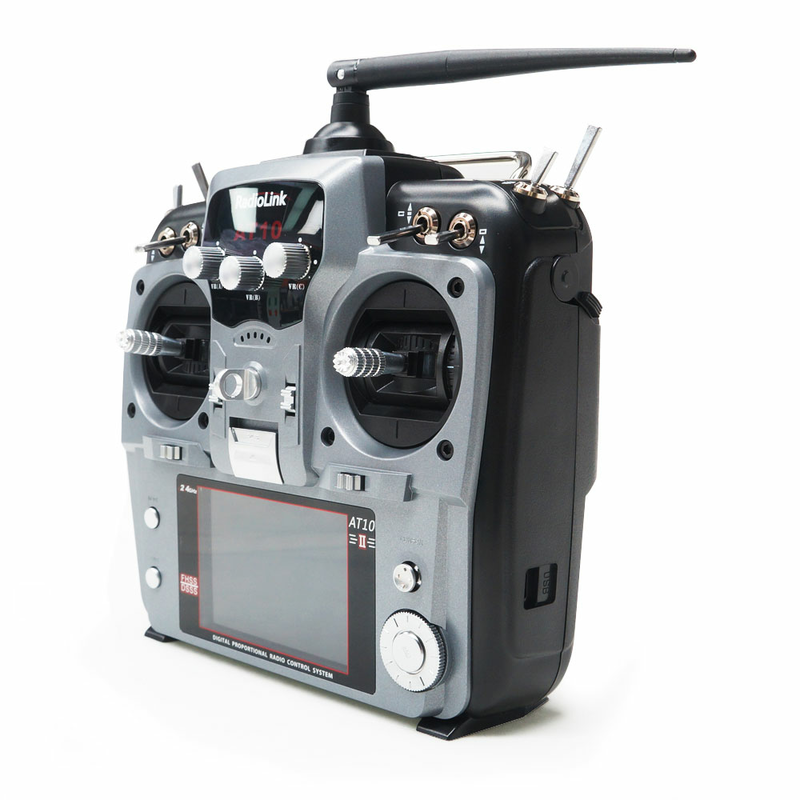 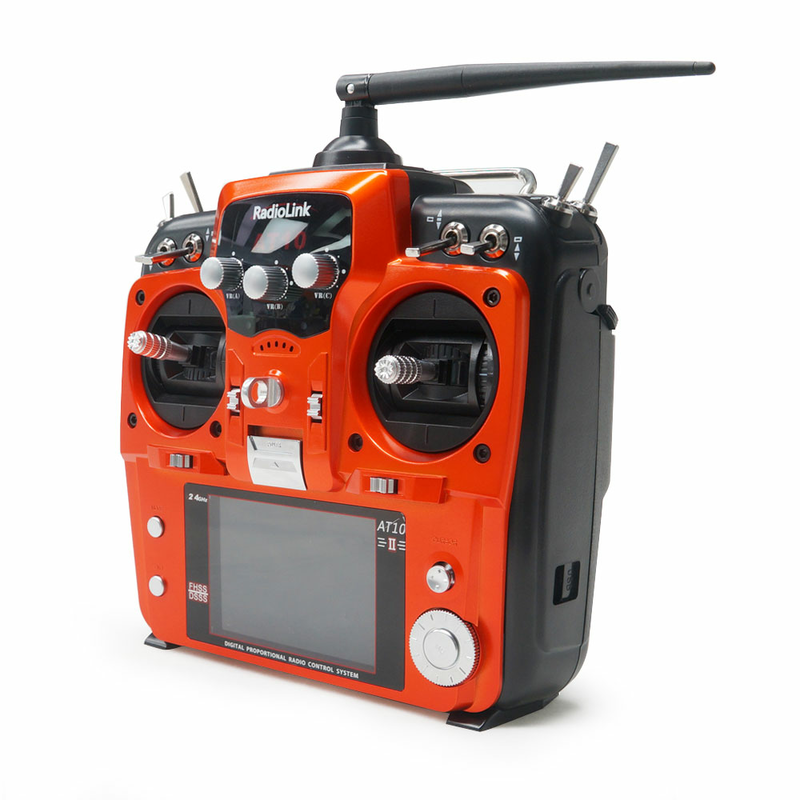 It comes with 7DBI high-gain transmitter antenna, dual antenna receiver R10DS, the control distance is up to 4km. 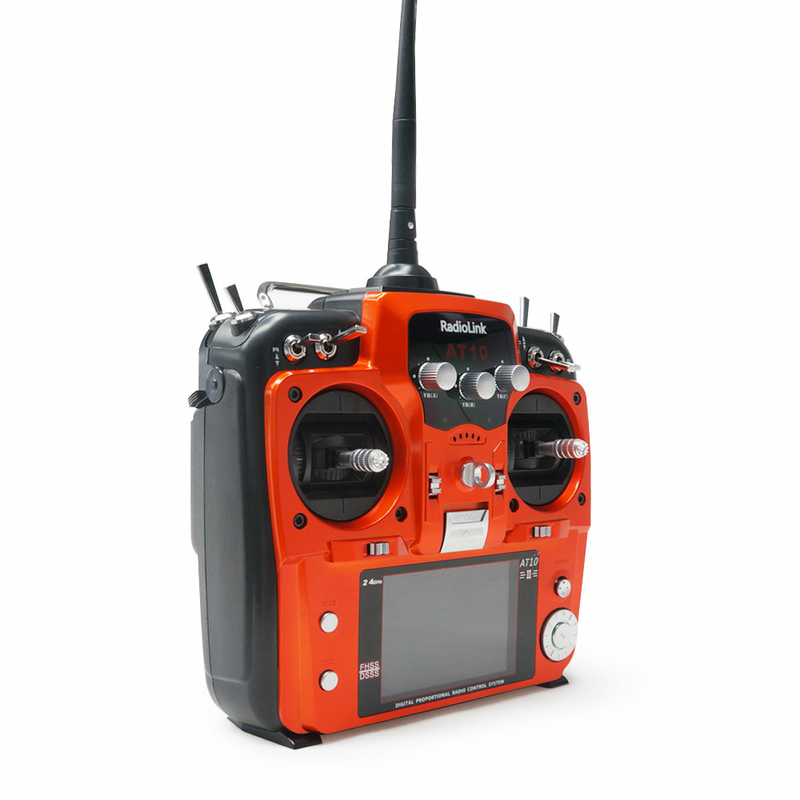 It takes 3ms for 12 channels response synchronously, has better ability at anti-interference, more stable and faster than AT10. 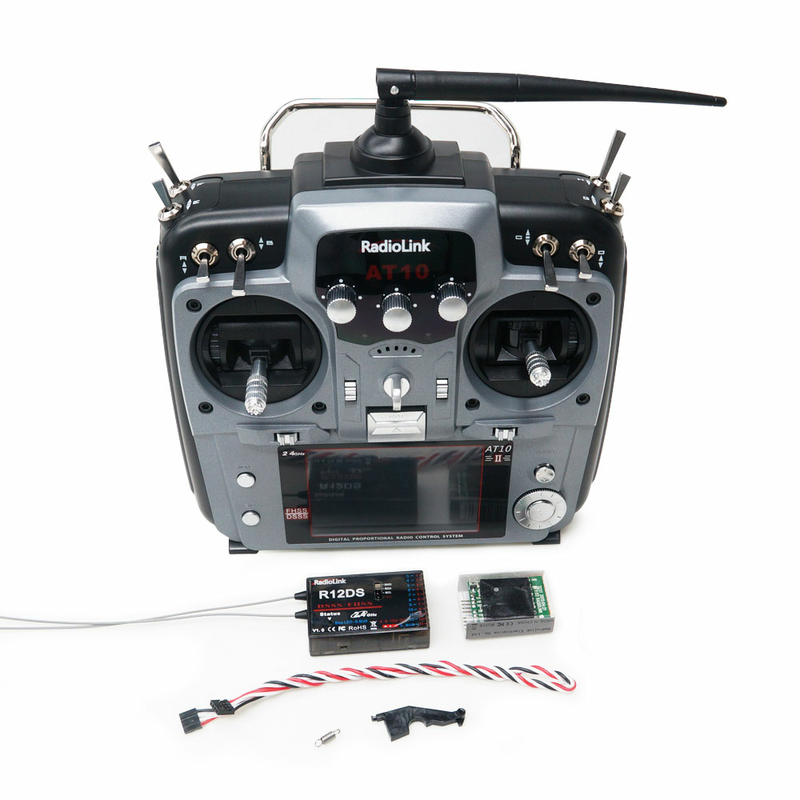 Meanwhile, it is low consumption,support SBUS, PPM AND PWM signal and real-time data telemetry(telemetry module need to purchase separately).